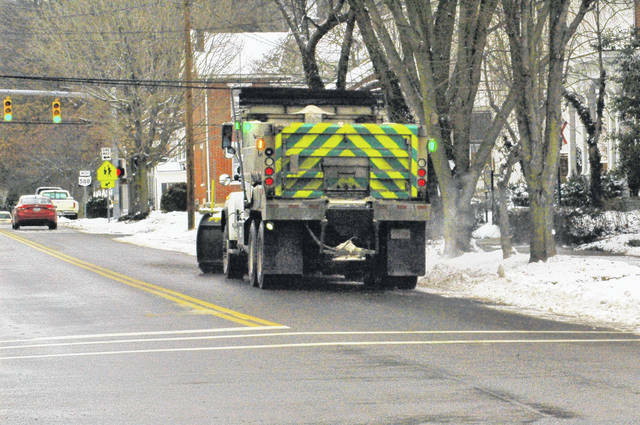 An Ohio Department of Transportation truck moves west on Ohio 588 in Gallipolis clearing snow and adding cinders to the roadway to aid in traction with the upcoming weather on Monday. According to the National Weather Service more winter weather was predicted for Monday night and Tuesday with a winter weather advisory in place. The rest of the week will reach a high of 32 degree on Thursday and then rise into the low 40’s on Friday.